Some weeks ago I enlisted your participation in The Expert Institute’s Best Legal Blog contest. In doing so I expected a few hundred favorable votes, taking into account that I have a few more than 860 followers. Imagine my surprise, then when it was called to my attention that the blog finished first in its category on the closing day, November 3, with 2187 votes, besting the Lawyers Rock blog by some 83 votes. In fact, TBCPB finished second overall among all blogs in every category, second only to the Workplace, Data Management & Security Report, which received 2371 votes. You can see the vote totals at this link. Thanks to each and every one who voted, and thanks to all of you who read this. I hope you continue to benefit from it. 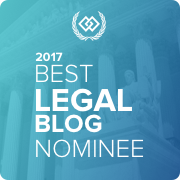 By the way, last year your votes added this blog to the ABA’s Best Legal Blogs list. So we are on a roll. The Expert Institute says it is tallying votes and will notify the winners. I presume they are examining hanging chads and will make a definitive ruling soon. In the meantime, I appreciate the vote of confidence. It helps keep me motivated. We appreciate you and your great work! Congratulations!! No matter what, I read this blog every morning. Thanks for your hard work!! Well-deserved! And thank you again for taking the time to teach us! Judge, Not in your Court very often but look forward to reading your blog. I feel like we should all get CLE credits. Congratulations and keep the faith. Very well deserved! We are all so thankful for your great resource. Congratulations Chancellor— I wait with great expectation for your blog. GREAT JOB AND SO VERY USEFUL! Judge, it is us, the practitioners, thanking you for the blog. It has proven invaluable to us over time. Though I have not had the pleasure of appearing in your court, through this blog I will feel comfortable doing so, if I am prepared. Please keep the blog going. Judge Primeaux, you deserve the honor and more. You have taught us all so much more than we could have learned in law school and every voter appreciates your efforts to make the mire clear. You are currently reading Report on the Contest at The Better Chancery Practice Blog.